Westland Avenue Garage is a short walk from Fenway Park and offers affordable parking for Red Sox games. 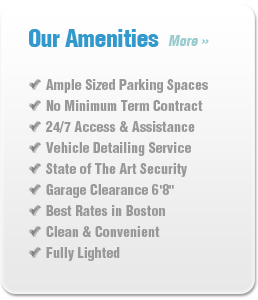 The garage is conveniently located on the opposite side of the Back Bay Fens and offers 24/7 access. Don’t get stuck sitting in a garage hours after a Red Sox game. The parking garage’s close proximity to Fenway Park allows for a short walk to the park, and is perfectly located to allow for an easy exit after a game. The garage is also self-serve, so you won’t need to wait for car elevators or a busy attendant to find your keys. Reservations can be made at www.parkwhiz.com or www.spothero.com. Cash, VISA, MasterCard, American Express and Discover are accepted as forms of payment. Monthly and Debit Card customers may enroll in our Automatic Credit Card Payment plan. Copyright © 2012 Westland Avenue Garage. All rights reserved.